Step 1. 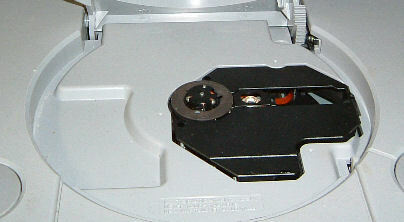 Playstation with broken spindle hub. To remove the broken spindle hub, slip a butterknife under the broken spindle hub and twist the knife to pry the old hub off. It's OK if you break the old hub since it's unusable anyway. Step 3. 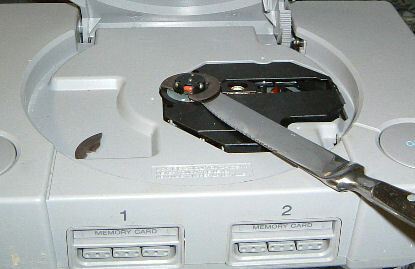 If you happen to push down too hard on the hub and it's down too much and can't move, get out the butter knife again. 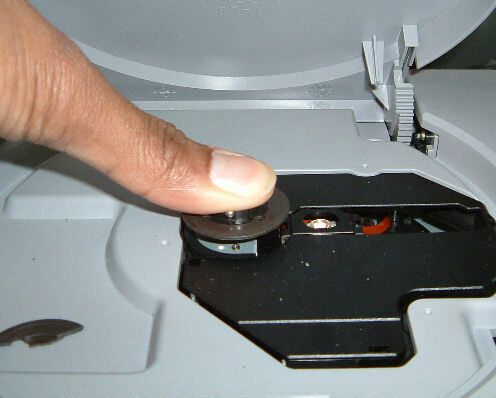 You must pry VERY GENTLY up on the middle to lift it up slightly so that it can spin freely. Again, this is only if you pushed it down too much -- which is not likely if you follow the instructions above. Spindle Hub -- $7.95, buy more, save more!